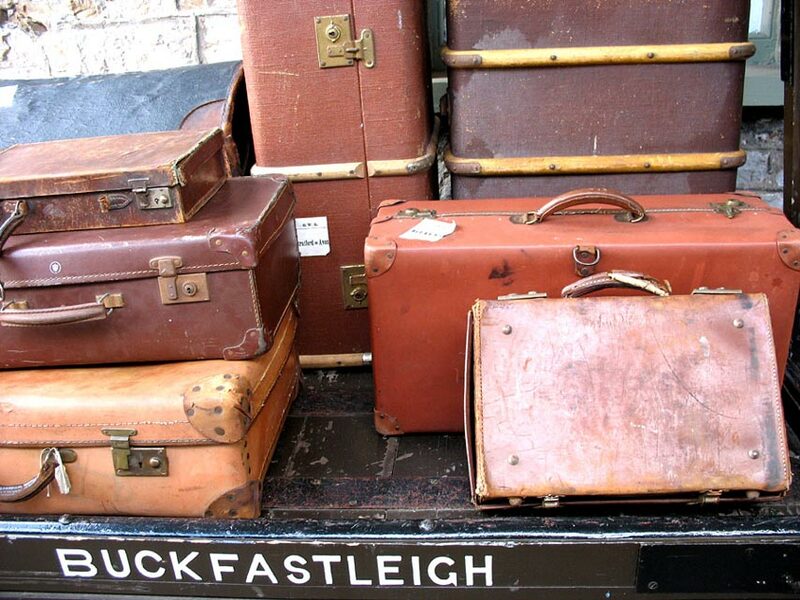 Old fashioned suitcases on a Buckfastleigh Steam Railway trolley. I'm assuming these are part of the display and didn't belong to any of the passnegers? !